I couldn’t be more thrilled to announce that on Saturday, February 14th, Chef Brian Skinner and I are teaming up to throw a three-course brunch (plus surprises) at Lost + Found Cafe in Gastown. 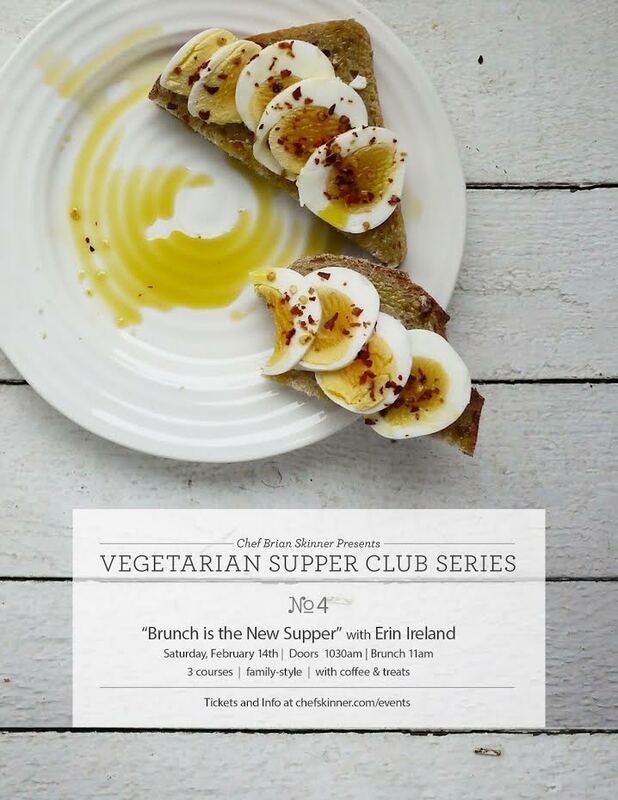 This will be the fourth event in Brian’s pop-up Vegetarian Supper Club series. Expect a mix of healthy and vegetarian decadence. Head to Brian’s site for tickets (30 seats only). Looking forward to seeing you!